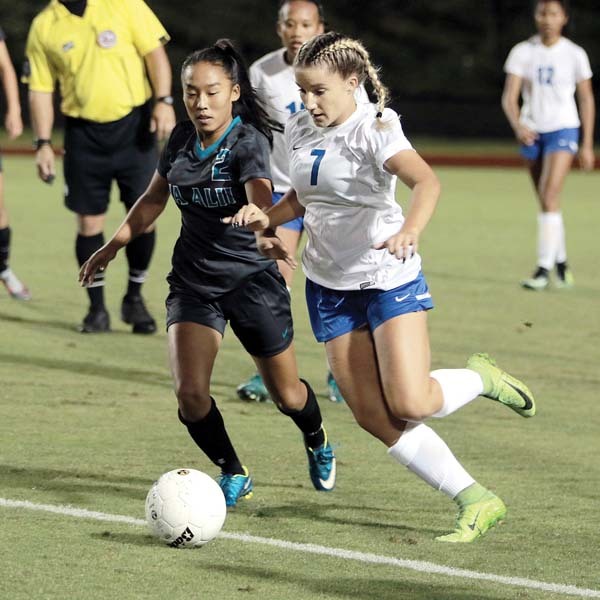 WAILUKU — The King Kekau­like High School girls soccer team knows how important each match is in the Maui Interscholastic League. 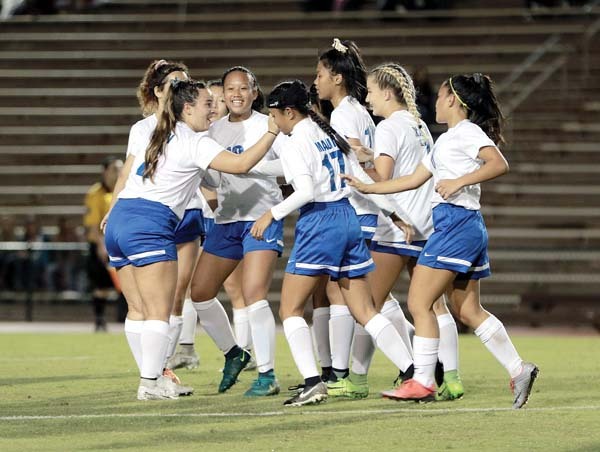 Na Alii sat in a state tournament spot for most of the season last year before Kamehameha Maui caught them down the stretch to claim the MIL’s second and final state berth. 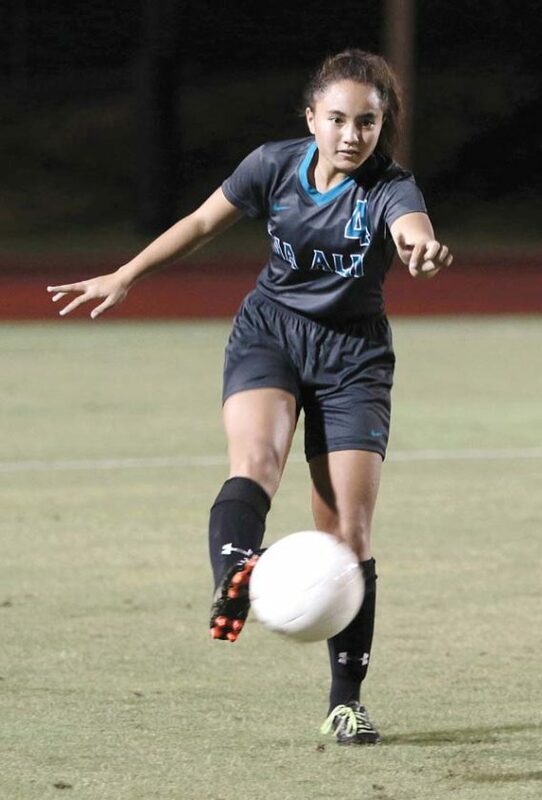 King Kekaulike started its drive to avoid that from happening again with a dominant 3-1 win over Maui High in the teams’ league opener on a chilly Friday night at War Memorial Stadium. King Kekaulike bounced out to a 2-0 lead in the first 14 minutes, on goals by Lyti Akinaka and Duquette. 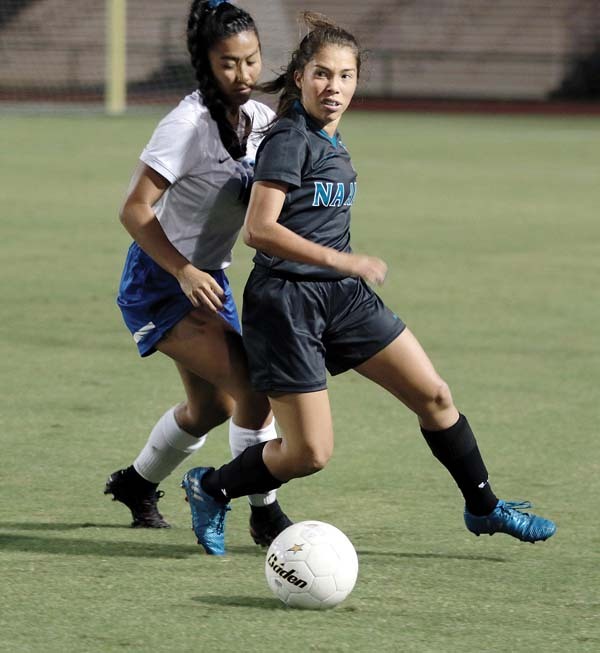 Maui High got within 2-1 on a goal by Dzana Alibigec in the 20th minute. Duquette stole the ball in the Sabers’ defensive end in the 52nd minute and made an athletic run past the defense to score the final goal. Dancil said his team does conditioning drills running stairs in King Kekaulike Stadium and then hold practice at Kulamalu Pop Warner field up the street. The field at King Kekaulike Stadium is getting artificial turf installed in a project that is set to be completed on April 3, Dancil said. Maui High created several chances to close the gap. 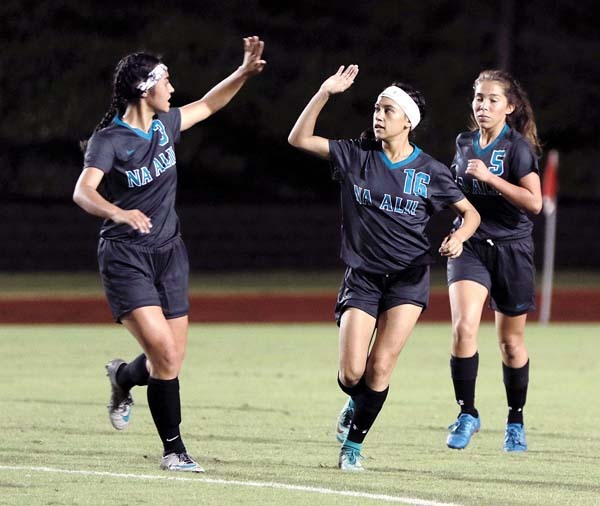 Chai Cortez hit the upper corner of the crossbar in the final minutes of the first half, Alyssa Antolin was stopped by a stellar save by King Kekaulike goalkeeper Shayli Pontes in the 69th minute and Chanelle Cortez sent a shot over the crossbar in the 78th minute.